Renau Electronic Laboratories was established in 1981 and is located in Chatsworth, CA. They are a 30-employee, full-service manufacturing facility specializing in electronic microprocessor controller applications. Renau designs and manufactures custom controllers and monitoring systems for water purification, vending machines, coffee and cappuccino machines and other industrial applications. Renau Electronic Laboratories wanted to implement ISO 9001, an international quality management system standard, to demonstrate their commitment to quality to their customers. They contacted CMTC for assistance with transitioning their existing quality management system to a system that is compliant with ISO 9001 and to prepare Renau for a third-party registrar for ISO 9001 registration. Specifically, they needed assistance with the documentation of their processes and with the implementation of the ISO 9001 Quality Management System. In December 2006, an implementation team was established including personnel involved in the company’s sales and marketing area, manufacturing and warehouse operations, and engineering processes. The project included a training program for employees, establishing a process for collecting metrics for the management team to track improvements and assisting with the selection of a third party registrar for ISO 9001 registration. The training program was established to implement released procedures. CMTC conducted a two-day Internal Auditor Training and supported these employees as they conducted audits to the released procedures to ensure effective implementation. In addition, CMTC worked with the management team to establish metrics that would help them track improvement of their business and to conduct effective management reviews of their system. After assisting Renau in selecting an accredited third-party registrar, Renau achieved registration for ISO 9001 in June 2008. Renau implemented ISO 9001 with the aim of continually improving their business. As a result of this quality project, Renau improved the skills of their workforce, reduced the variation in their processes, improved internal communication and teamwork, and improved their documents and records. In addition, the certification will enable them to enter new markets. 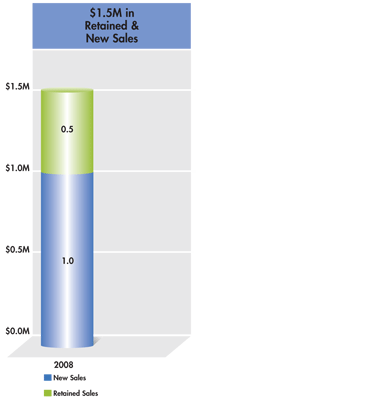 Renau Electronic Laboratories was able to retain approximately $500,000 in sales and have increased sales by $1,000,000. In addition, improved processes and procedures saved Renau over $100,000. "We contacted CMTC because we wanted to improve our business processes while showing our customers that we are committed to quality. CMTC has helped us do both."